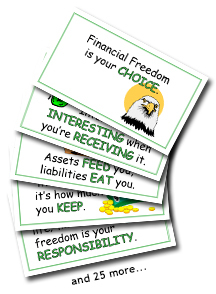 Financial freedom is a do-it-yourself project, for the most part. Yes, some people inherit money…some studies say less than 20 percent of financially free people inherited their money. Yes, some people win the lottery sometimes…but VERY rarely. And most end up with no money pretty quickly because they don’t have the skills to manage money in the first place. Yes, some people even FIND money (like me…I find it all of the time)…but it’s not an amount we can usually live on! For the most part, however, money is something you have to earn for yourself and financial freedom is something you have to choose and then figure out how to make happen. The only problem is that most of us were never taught we actually had to ‘choose’ it for ourselves. Heck, many people don’t even realize it’s a possibility for themselves. This is where the idea of EMPOWERING others comes into play. Let’s say you went into a store and were very hungry. You want to buy a loaf of bread and yet you only see one shelf that has the same type of bread you’ve been buying and eating your whole life. What if, on the other side of that isle, there are 10 more shelves with all kinds of different breads available but you just don’t know it’s there? You don’t even realize it’s a possiblity. • The stuff you know you know (purple). 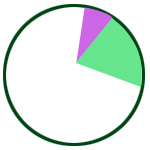 • The stuf you know you don’t know (green). • The stuff you don’t know you don’t know (white). Empowering human beings with information, skills, knowledge, drive, motivation, purpose…it takes all this to help someone go from where they are to where they’d rather be, if they don’t like where they are right now, that is. Choose how you want your life to look. Take responsibility for creating that life. Then take a few steps toward it every day. No one is going to do it for you, you know. 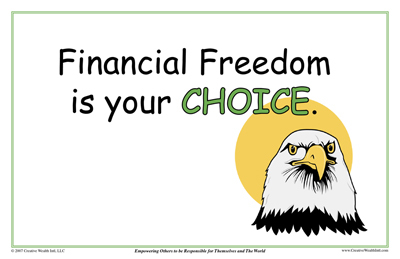 Why do YOU choose to be financially free?